The Faith-Based Information Sharing and Analysis Organization (ISAO). A non-profit organization. The above is an excerpt from a letter written by the U.S. Department of Homeland Security (DHS) Cybersecurity and Infrastructure Security Agency (CISA) Assistant Director of Infrastructure Security, Mr. Brian Harrell. Please read the entirety of Director Harrell’s letter below. In addition to the letter, CISA wanted to make sure FB-ISAO members are familiar with a valuable new resource, the Securing Soft Targets and Crowded Places Resource Guide. “Soft Targets and Crowded Places (ST-CPs)… are locations that are easily accessible to large numbers of people and that have limited security or protective measures in place making them vulnerable to attack. DHS has been working for many years to address ST-CP security and preparedness, with recent shifts in the threat landscape calling for renewed departmental focus on leveraging and maximizing its ST-CP security authorities, capabilities, and resources in an integrated and coordinated manner.” Access those resources below, and see the Resources tab on this website for more. 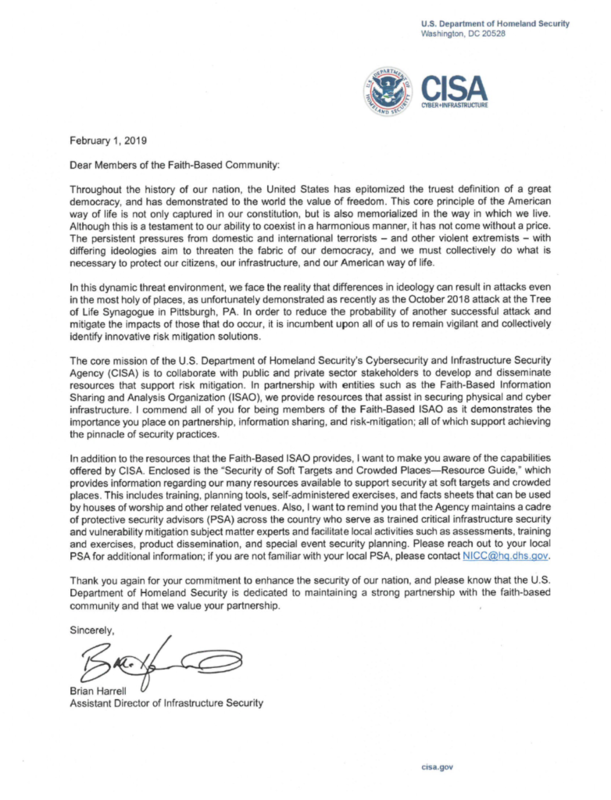 Through relationships with leaders and organizations, such as Assistant Director Harrell and CISA, with the Federal Bureau of Investigation, state and local fusion centers, and other public sector partners, we will continue to grow our private-public collaboration, and the continued awareness, preparedness, security, and resilience of the American community of faith. 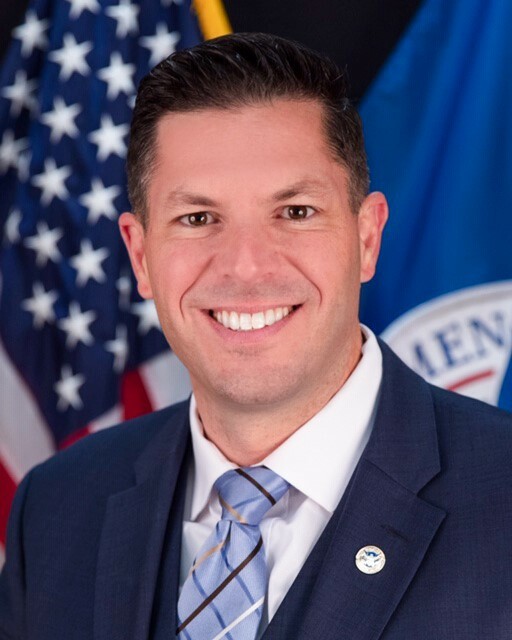 Please read the entirety of Assistant Director Harrell’s letter, above, and thank you for your commitment to building a stronger, more prepared nation. ← Coming Soon on FB-ISAO: Collaboration!